In the Fuxing-Dunhua area of Daan District sits Shabu Lounge, a hot pot restaurant that takes things to a different level, departing from the common setting of such similar places. The owners strictly adhere to fresh, healthy ingredients - with top grade imported meats, fresh vegetables and broth - to bring out the best flavors for guests. 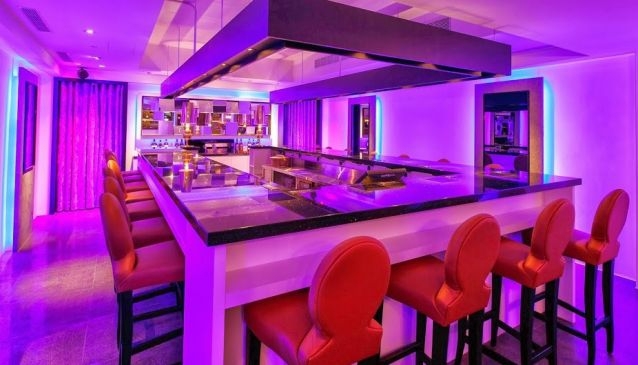 The interior is what makes Shabu Lounge stand out: the design, neon lighting, and music make one feel closer to a nightlife scene than a typical Taiwanese hot pot spot. The menu contains options such as Angus beef, pork, New Zealand Lamb, chicken, vegetarian, and plenty of seafood. To go with your hot pot, have a beer, cocktail, or whiskey. There is a 10% service charge on the final bill.